Serious protection demands serious products. PIP has worked to develop multiple kits for high risk environments. Together with you, we can help you meet compliance regulations by offering you turn-key kits. (insulating glove kits and arc rated hearing protection are not included). 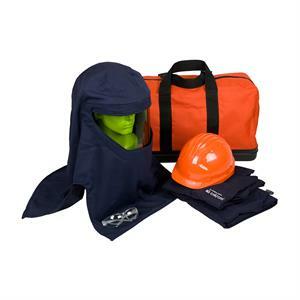 Flame resistant products pass specific ASTM tests that deem the fabric flame resistant. Flame resistant fabrics and garments provide protection against clothing ignition, sustained flame spread and do not melt or drip. The material resists ignition, self-extinguishes and the FR properties last for the wearable life of the garment.